ADD A LITTLE EXTRA FLAVOR TOYOUR PARTY! Bring some extra flavor to your party or event with our full service catered gelato for weddings, corporate events, birthdays and more. Our customizable chilled case holds up to 4 selections; choose from over 50 artisan flavors and create a gelato display of your favorites to serve your guests to order on site. Impress your guests and make your event one to remember with the cool, tantalizing taste of authentic artisan gelato at its best. 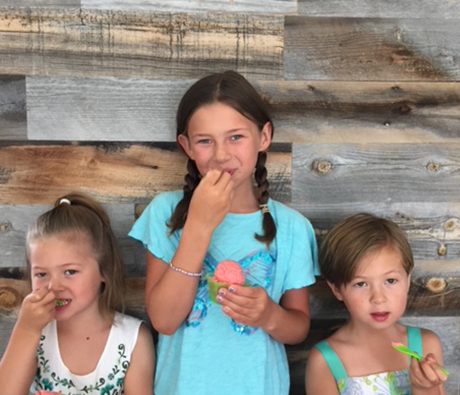 Locals agree that our gelato is the Best Dessert in Town. Here at Bottega Italiana, we are committed to high quality product, and our award-winning gelato speaks for itself. We do not cut corners or simplify recipes: dozens of kiwis are peeled for a batch of kiwi gelato, and hundreds of lemons, limes, oranges and grapefruits are juiced by hand in our kitchen. Our fruit flavors are made only during their season, our pistachios and hazelnuts come straight from Italy, and our produce is fresh and local. When it comes to flavor and color, our gelato is strictly come as you are. For more information email us at info@bottegaitaliana.com. Book Now and get 10% OFF Call or email today!